Some people know W.E. 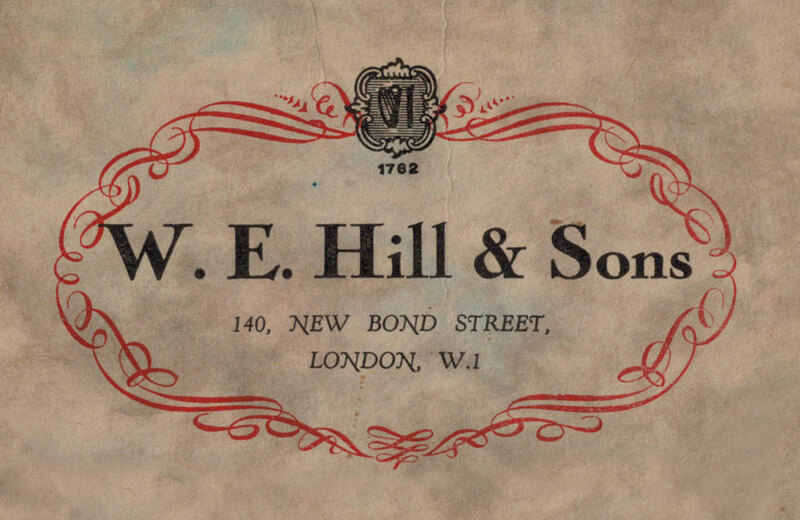 Hill & Sons for their fine violin bows. Others for the cellos and violins the firm made during the late 19th and most of the 20th century. Auctioneers tout the firm for its restoration work and scholarship on the Stradivarius and Guarneri luthier families. And in the realm of fine violin cases, there really is no comparison to W.E. Hill & Sons for intricate craftsmanship and beauty. The fact that very different perspectives of fine stringed instruments – from the players to collectors and scholars – all find ways to appreciate, respect and even revere the work of this firm speaks volumes. They were skilled with levels of expertise and breadth that is rarely found under one roof. To illustrate the attention to detail, this shop reportedly made its own tools. It’s what enabled them to perform at the top of their game in all other respects, in particular at bow making. Consider how the market values W.E. Hill & Sons bows at recent auctions: In 2017 and 2018, viola, cello and violin bows have sold for between $1,298 and $18,788 (US). Prices fetched at auction for instruments were as high as $54,000 (cello), $26,400 (violin), $23,600 (violin), $16,851 (violin), and $16,571 (violin). Auction houses handling the maker’s work include Tarisio, Freeman’s Auctions, Bonhams, Skinner, and Ingles & Hayday. 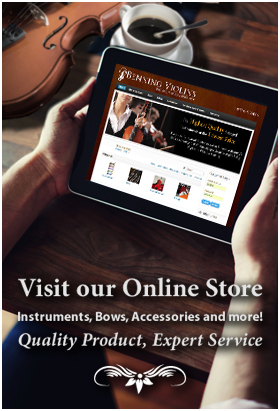 Based in London on the fashionable New Bond Street, the violinmaker was established in 1887, the height of the Victorian era, a time when the English fine stringed instruments were thought to have surpassed the workmanship of those made in France. 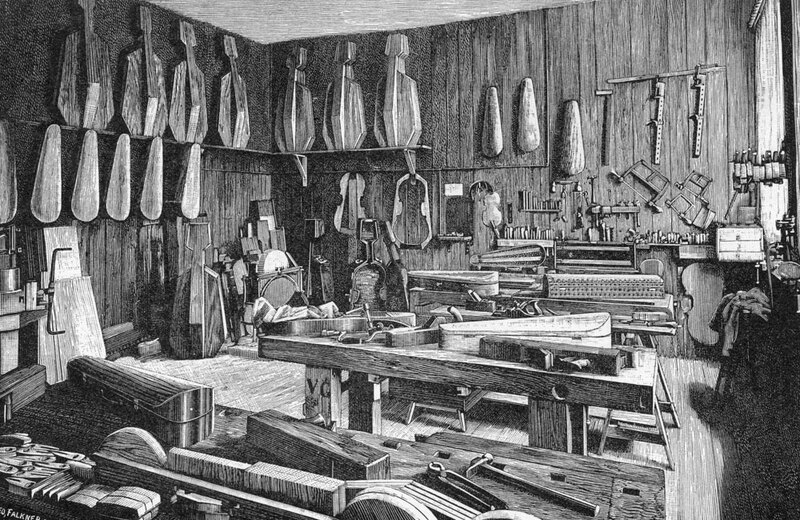 The violinmaker was also acclaimed for its work with damaged instruments, as well as their mastery at identification and authentication of violins, cellos, and bows. The firm handled at least three Stradivariuses (the Alard, the Messiah, and the Lipinski). The violin shop’s legacy was honored with a special exhibit at the Bate Collection at the University of Oxford of W.E. Hill & Sons bows in 2016. Titled “Fiddle Sticks, the Story of Bow Making at Hills Violin Experts,” it included 17 bows from the firm that were made over a period of 75 years. Bow making tools and moulds, a recreated workshop, plus a short film, biographies of acclaimed luthiers in Hill’s employ and several photographs were part of the exhibit as well. The firm was dissolved in 1992, capping off more than a century of fine craftsmanship, investigative authentication, and restoration work. Today, almost everything W.E. Hill & Sons touched carries great respect – and value.